People watch a television news screen showing a map of the epicenter of an earthquake in North Korea, at a railway station in Seoul on September 23, 2017. 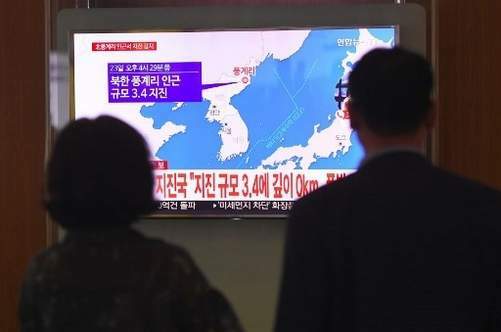 BEIJING, China (AFP) — A shallow 3.5-magnitude earthquake which hit North Korea near the country’s nuclear test site Saturday was likely an aftershock from the hermit state’s missile test on September 3, a nuclear test ban watchdog and other experts said. Lassina Zerbo, executive secretary of the Comprehensive Nuclear Test Ban Treaty Organisation (CTBTO), tweeted the quake was “unlikely Man-made! Similar to ‘collapse’ event 8.5 mins after DPRK6”, a reference to the second tremor that followed the September 3 test. “The most probable hypothesis at present is that this is a consequence of the previous event, which was of a significant magnitude and may still have repercussions in a fracture zone,” Zerbo told AFP. The China Earthquake Networks Centre (CENC), which initially spoke of a “suspected explosion,” also said it believed Saturday’s tremor was not the result of a fresh test, Xinhua news agency reported after the China Earthquake Administration, of which CENC is a part, studied infrasonic data of the latest quake. The quake came after days of increasingly bellicose rhetoric between US President Donald Trump and North Korean leader Kim Jong-Un’s regime, as international alarm mounts over Pyongyang’s nuclear ambitions. The United States Geological Survey (USGS) said the quake struck around 20 kilometres (12 miles) away from the North’s nuclear test site, where earlier this month Pyongyang detonated its sixth and largest device, which it claimed was a hydrogen bomb capable of being launched on a missile. 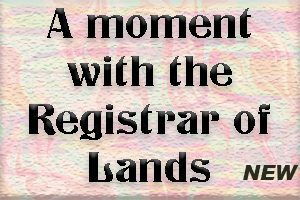 “This event occurred in the area of the previous North Korean Nuclear tests. We cannot conclusively confirm at this time the nature (natural or human-made) of the event. The depth is poorly constrained and has been held to five kilometres by the seismologist,” USGS said in a statement. The North’s last test, on September 3, was the country’s most powerful detonation, triggering a much stronger 6.3-magnitude quake that was felt across the border in China. A second tremor soon after that test was possibly caused by a “cave-in”, CENC said at the time. The test prompted global condemnation, leading the United Nations Security Council to unanimously adopt new sanctions that include restrictions on oil shipments. A UN-backed monitoring group said analysts were investigating Saturday’s quake. The strength of the quake was much lower than the tremors registered during any of North Korea’s previous nuclear tests, including its first detonation in 2006, which triggered a 4.1-magnitude quake. Social media users in China said they “felt nothing” when Saturday’s quake hit, while Russia’s weather forecasting service said radiation levels were normal following the tremor, according to a report by the Interfax news agency. The quake came at the end of a week that saw a blistering war of words between Kim and Trump, with the US leader using his maiden speech at the UN General Assembly to warn that Washington would “totally destroy” the North if America or its allies were threatened. The North, which says it needs nuclear weapons to protect itself against the threat of a US invasion, responded on Friday with a rare personal rebuke from Kim, who called Trump “mentally deranged” and threatened the “highest level of hard-line countermeasure in history”. Tens of thousands of North Koreans gathered in Pyongyang Saturday to applaud the regime’s stance, their fists clenched as speakers repeated Kim’s denigration of Trump as a “dotard”. Such set-piece rallies, organised by the authorities, are a regular feature of political life in Pyongyang, and analysts say Kim is exploiting Trump’s angry commentary to reinforce his leadership. “It’s quite ridiculous that such a person could become a politician,” he said. Washington announced tougher restrictions Friday aimed at curbing North Korea’s nuclear and ballistic missile programme, building on tough new UN sanctions aimed at choking Pyongyang of cash. But on the fringes of the UN meeting this week, North Korean Foreign Minister Ri Yong-ho upped the tensions further, telling reporters Pyongyang might now consider detonating a hydrogen bomb outside its territory. Monitoring groups estimate that the nuclear test conducted in North Korea earlier this month had a yield of 250 kilotons, which is 16 times the size of the US bomb that destroyed Hiroshima in 1945.